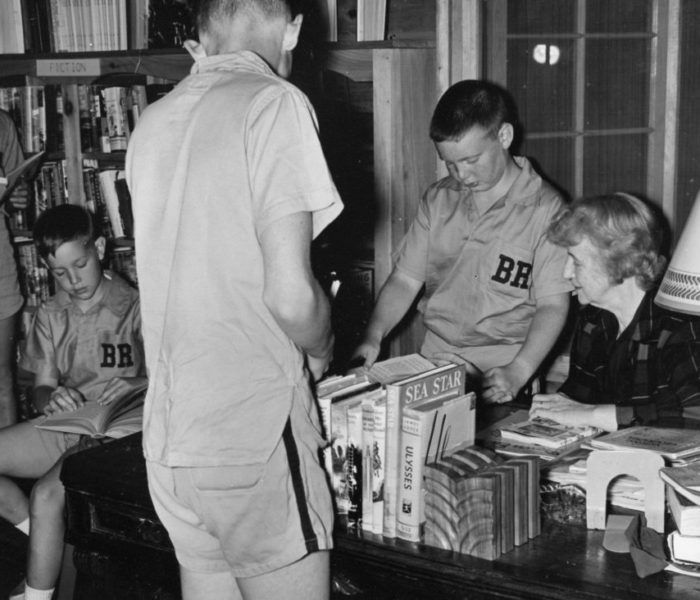 A cottage filled with books, magazines, games, and comfy chairs––this is the Allen Kearns Library at Birch Rock. 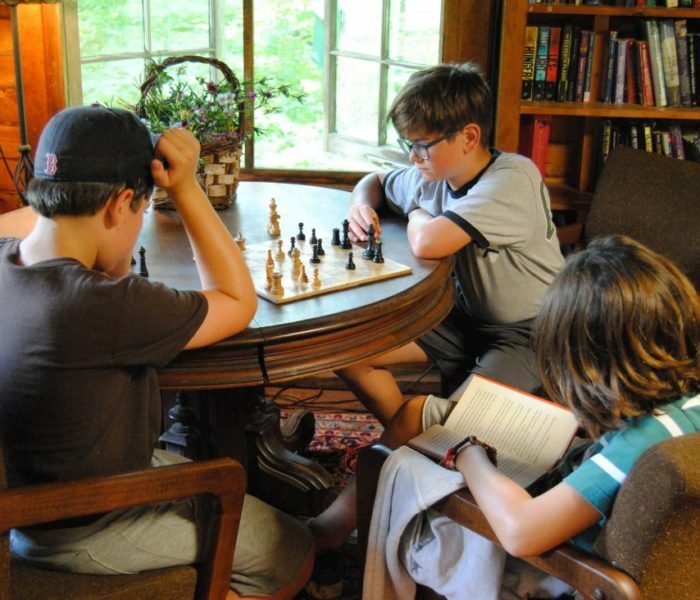 Reading has always been emphasized and encouraged here at BRC, and this cozy cabin is a popular destination for boys to browse the shelves or play a game of chess. During our morning rest period in the cabins, counselors and campers are required to read for at least 20 minutes, and everyone looks forward to quiet time in the middle of their active days to read. Tutoring can be a wonderful opportunity to boost reading levels, refine writing skills, or tackle math problems. English as a second language is also offered to our international campers. One-on-one sessions and small group instruction are offered at an additional fee by our librarians, Pamela Stock and Sara Lavertu. Pam and Sara are both teachers with a wealth of experience. For more on Pam and Sara, please see our Staff Profiles. To arrange tutoring for your camper, please contact Pam directly at 207-461-5781 (between 5 – 8 PM EST) or send her an email.